Each performance will be followed by talks about self-advocacy and the power of peaceful protest from local community activists who will tell the kids about their organizations and how they got involved with the causes they support. Activists include Daniele Martin from Yoga for Women of Color and DeWayne Bartonof Hood Huggers International, the Rev. Michael Carter from the Unitarian Universalist Congregation of the Swannanoa Valley and Paul Howey of pet therapy program Fur Kidz Sake. The cast includes ACA resident artist Katie Jones and musicians Jonathan Santos of Asheville, Gina Stewart from Charlotte and Jason Stanley from New York City. 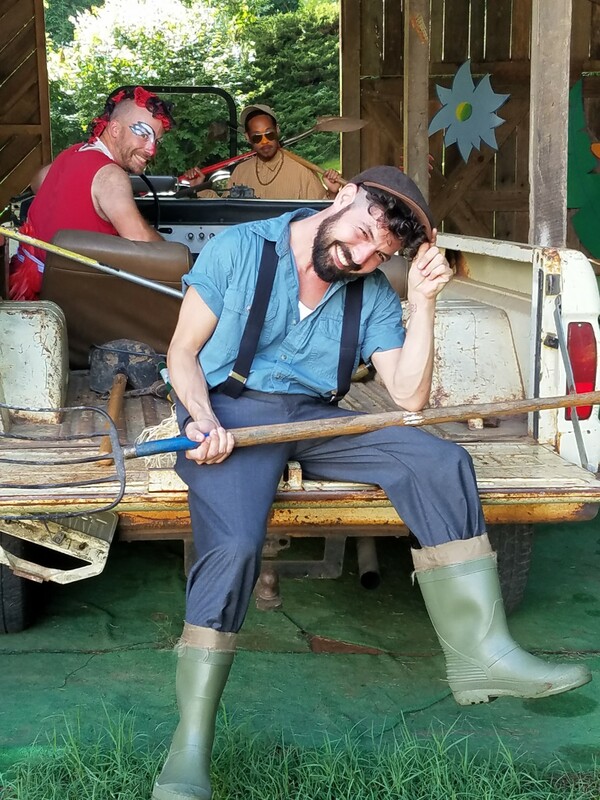 The performers onstage will be backed up by The Barnyard Band, a collective of young, Asheville-based musicians (Reina Corcoran on guitar, Sam Yoffee on saxophone, Gray Chatham on trumpet, Dax Chatham on piano and Reed Atherton on vocals), who will play accompaniment while costumed as farm animals. 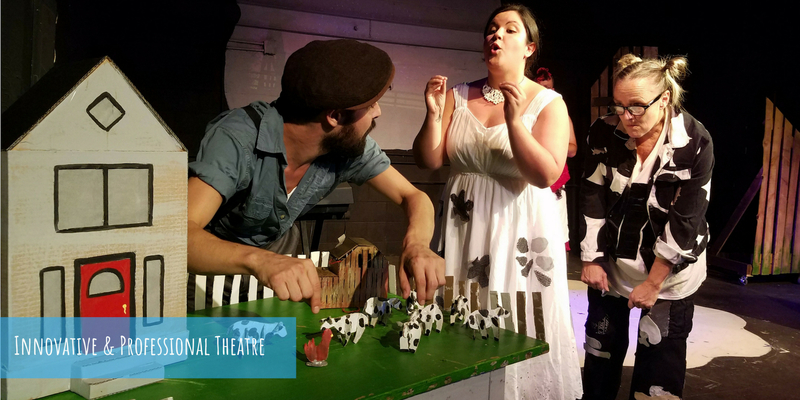 Gabrielle Tee of Asheville Music School, the youth musical director for the show, helped the five young members of the Barnyard Band learn their parts and adapt even as changes are made by the creative team in New York.